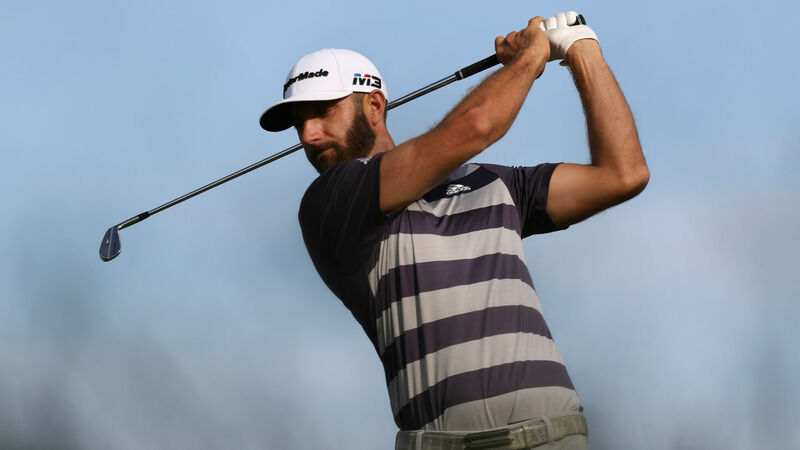 Dustin Johnson had had a rough couple weeks, but he heads to East Lake with a chance to end his season on a high note. Throughout the FedEx Cup playoffs, Johnson has lost his world No. 1 ranking, even dropping to third overall, and even had a personal scandal which he addressed on Twitter. But as the Tour Championship looms, a tournament he’s never won, Johnson is excited to get back on the course and fight for his first FedEx Cup title. “Being in the top 5, I control my own destiny,” Johnson said in his press conference. “It’s kind of the spot where you want to be. If you’re not No. 1, you definitely want to be in the top 5 at this event, and I’m sitting at 4, so yeah, I mean, I control my own destiny. If I have a good week and can win, then I can be the FedEx Cup champion. While Johnson realized this hasn’t been his best annual stop on Tour, he still thinks he has a chance to win this week. “The only other place that I can think of that I haven’t had a lot of success would be at The Players,” he said. “I’ve played well but just not that great, so I’m really looking forward to playing it in March this year with the different course conditions and playing a little bit longer. The PGA Tour announced earlier this week a change to the FedEx Cup playoffs moving forward. Not only will the competition go from four events down to three, the Tour Championship, starting next year, will place players at certain scores to start the tournament. The leader in the FedEx Cup standings will start the tournament at 10 under, and everyone else will start behind him. Johnson likes the changes. “I think it’s great,” Johnson said. “It gives everyone in the field a good chance to win. Obviously you want to be in that No. 1 spot so you start ahead, but no matter what, with this golf course, you can make up a lot of strokes with a good round. Even if you’re starting at 10 under, you’re going to have to play well for four days if you want to win. “You know, especially on a golf course like this where it’s not easy to shoot — there’s not too many 6 or 7 unders. 3, 4 under is a good score around here. Yeah, I think it’s going to be fun to watch as a spectator, but also too being in the tournament, it’s going to be fun, and you know where you stand. It’s nice that you don’t have to be No. 1 coming in here to win. The 30th guy has a chance to win.